The Cairns Children's Festival is an annual celebration children aged 12 years and under. The festival aims to put our youngest creatives in the spotlight whilst also creating a safe and fun environment for families explore, create and imagine. 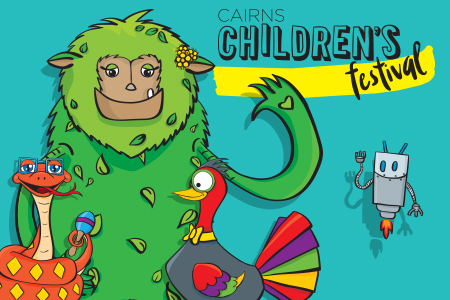 The 2019 Cairns Children's Festival will take place from 18-19 May 2019 with events at the new Cairns Performing Arts Centre, Tanks Arts Centre and Cairns Botanic Gardens. The Cairns Children's Festival has opportunities for local artists to design installations and activities as well as opportunities for our youngest creatives to be part of the festival. Please see information on this page and keep and eye on our Facebook page for more information. Download the full 2019 Cairns Children's Festival Program here.